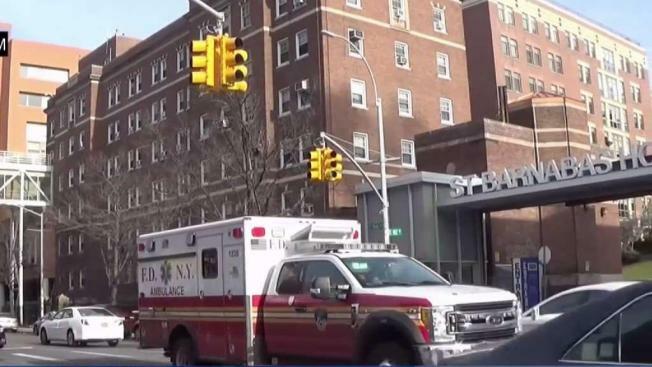 An alleged mistake at a Bronx hospital has the facility facing legal action. A New York City woman sat vigil for days at her dying brother's hospital bedside, authorized doctors to stop life support and was arranging his funeral when officials revealed it had all been a big mistake. The man wasn't her brother at all, but a stranger with a similar name. "That is my baby brother, so it was really hurtful," Powell told the New York Post. "I was worried, hurt, crying, screaming, calling everybody. It was a horrible feeling." The mix-up began on July 15, according to Powell's lawsuit, when Freddy Clarence Williams was admitted to the hospital unconscious with brain damage following a drug overdose. "She walked up into the room and said, 'That is not my brother,'" Powell said. But the man's facial features were similar enough that the family decided it couldn't be a mistake. One of Frederick Williams' two teenage daughters came from Virginia to say goodbye. "She was hysterical," Powell recalled. "She was holding his hand, kissing him, crying." Powell authorized doctors to withdraw life support on July 29. The city's medical examiner discovered the erroneous identification Aug. 16. "I nearly fainted because I killed somebody that I didn't even know. I gave consent," said Powell. Powell's lawyer, Alexander Dudelson, told the Post that neither the medical examiner's office nor the hospital would tell him anything about the man who died. When she explained that she had unknowingly given approval to turn off his life support, "He was saying, 'You were going to kill me?'" Powell recalled. "I explained to him, once you're brain-dead, there is nothing to do." Williams told the Post he wasn't mad at his sister. But he was upset at the hospital. "How could the hospital do something like that? Look what they put my family through," he said.